Fubuki Daiko (Blizzard Drums) is a professional Japanese taiko group founded in Winnipeg in 1995. Three of the group’s members (Hiroshi Koshiyama, Naomi Guilbert, and Bruce Robertson) received their formative training from Grandmaster Seiichi Tanaka, the founder of the San Francisco Taiko Dojo and the father of North American Taiko. 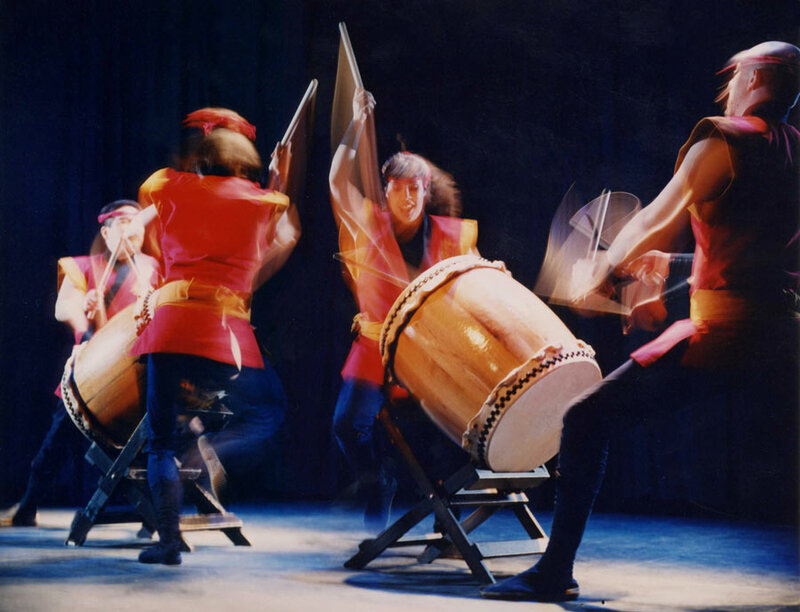 With the SF Taiko Dojo, they toured across the United States and Japan in the early 1990’s culminating with a performance at Carnegie Hall in 1994. After relocating to Winnipeg and establishing Fubuki Daiko, Koshiyama and Guilbert began teaching taiko classes to adults and children. All other current members of Fubuki Daiko’s professional performing group (Kimi Guilbert, Giselle Mak and Lynn Lai) have advanced through the ranks of these classes. Koshiyama and Guilbert have been instructors and mentors to taiko groups in Canada and the U.S. They continue to return to San Francisco on a regular basis to train with Tanaka Sensei. They build and maintain the majority of the group’s drums and act as the primary bookers and managers. 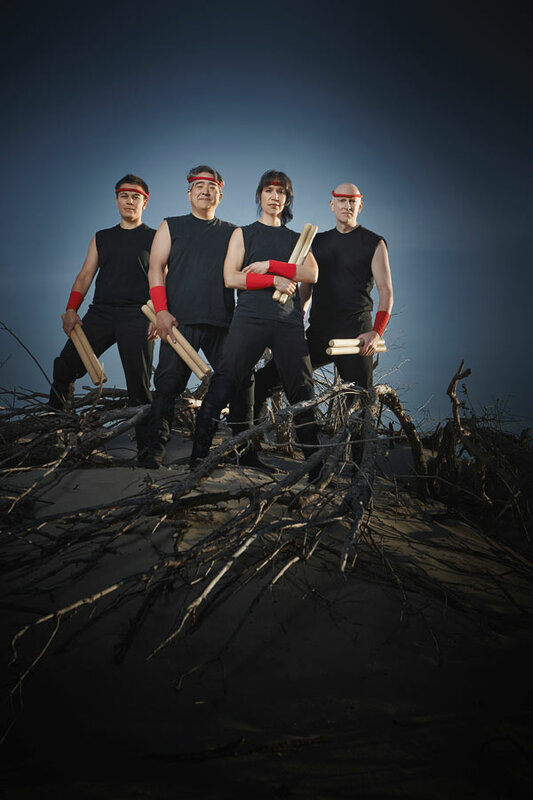 Fubuki Daiko has thrilled audiences across North America with their signature style of taiko drumming – a style that combines the strict discipline of their martial arts-like training with their North American musical roots. Their ability to establish an immediate and lasting rapport with audiences through the use of engaging and humorous narratives has made them favourites at festivals, schools, conferences, and concert halls. With the exception of a traditional Japanese lion dance, all pieces performed by the group are original compositions. Koshiyama, Guilbert and Robertson are the primary composers. However other Canadian musicians (Michael Stecky and Debashis Sinha) have also composed for the group. Fubuki Daiko has released two albums: Fubuki (2001, Prairie Music Award for Outstanding Instrumental Recording) and Zanshin (2005, Western Canadian Music Award for Outstanding Album Design).